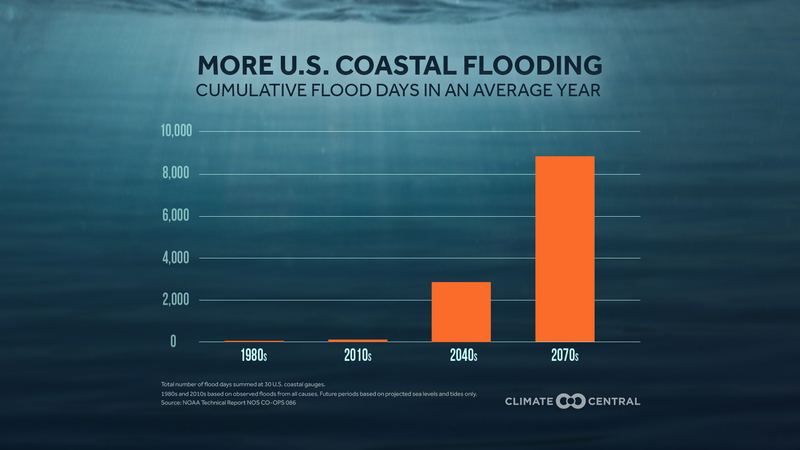 Flooding at high tide is increasing along coastal communities in the U.S., and it’s going to get much more common with climate change. 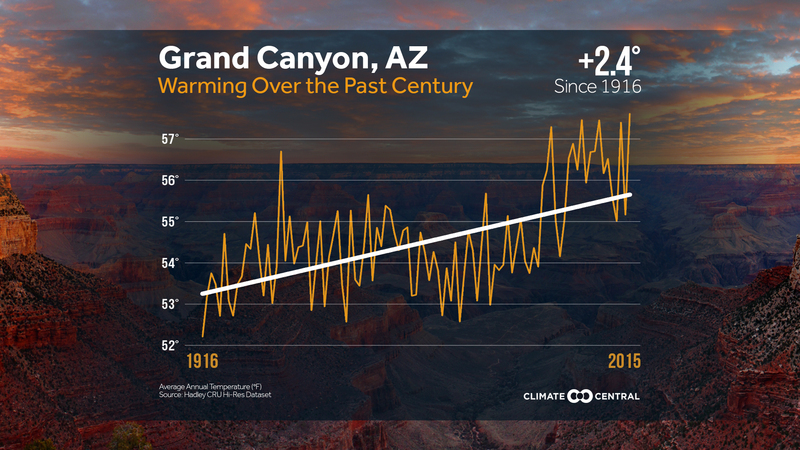 Each of the National Parks faces unique challenges from climate change, including increased heat. 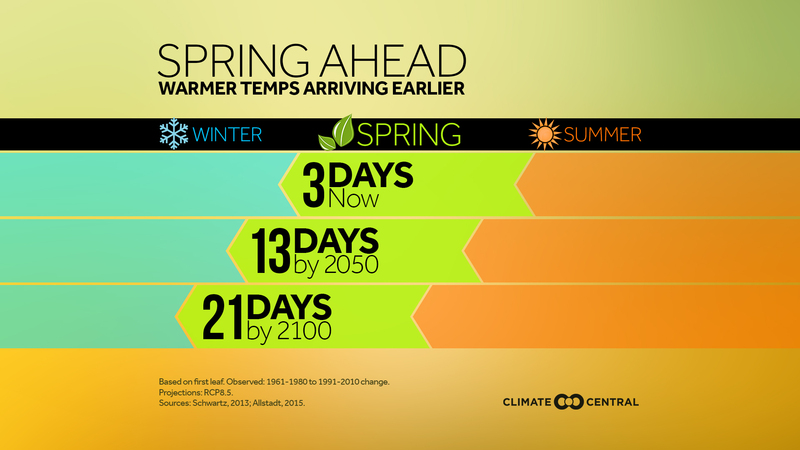 On the current greenhouse emissions path, spring may start an average of three weeks earlier by 2100. 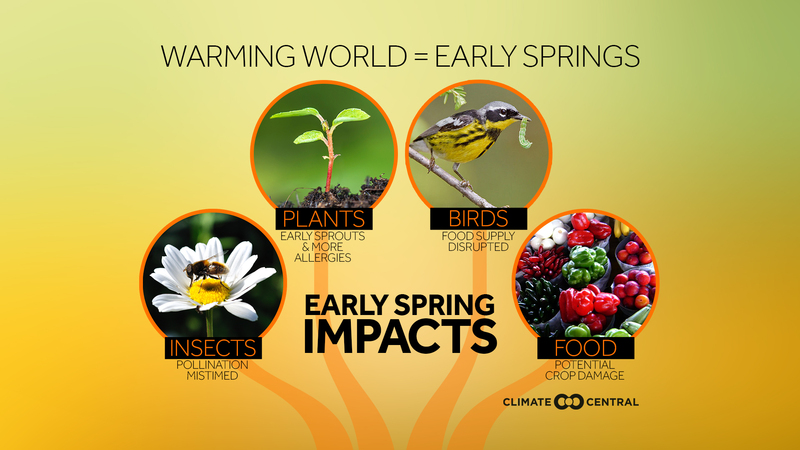 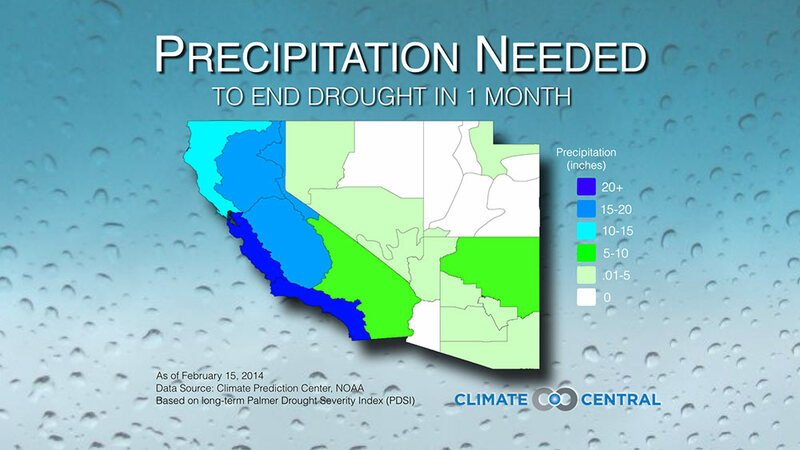 An early spring can disrupt plant & animal behaviors and make it more difficult on farming. 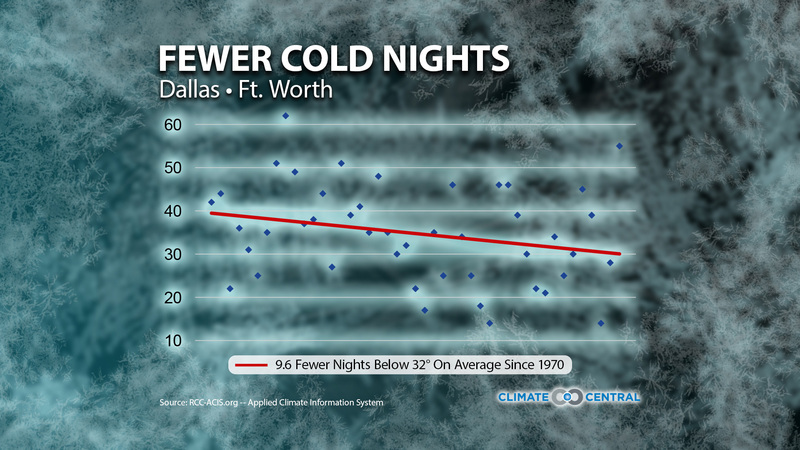 Take a look at how cold nights have been trending for various cities across the U.S.
A striking look at how much precipitation the Southwest would need over the next month to end the drought. 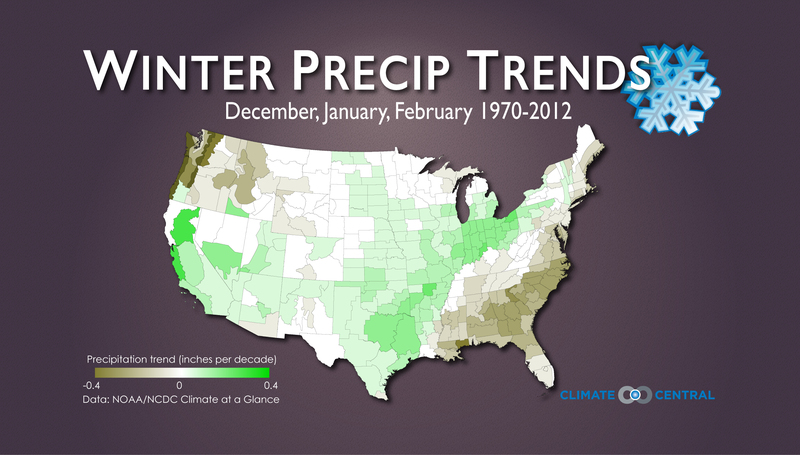 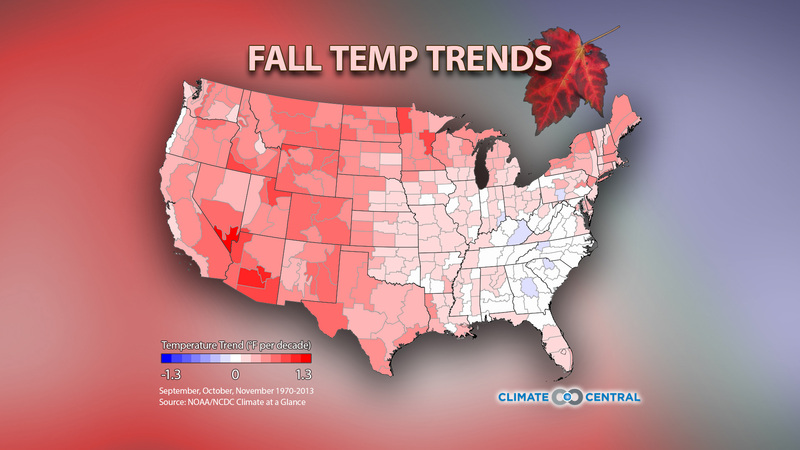 While every region of the country has seen a rise in winter temperatures since 1970, precipitation trends paint a more varied picture.